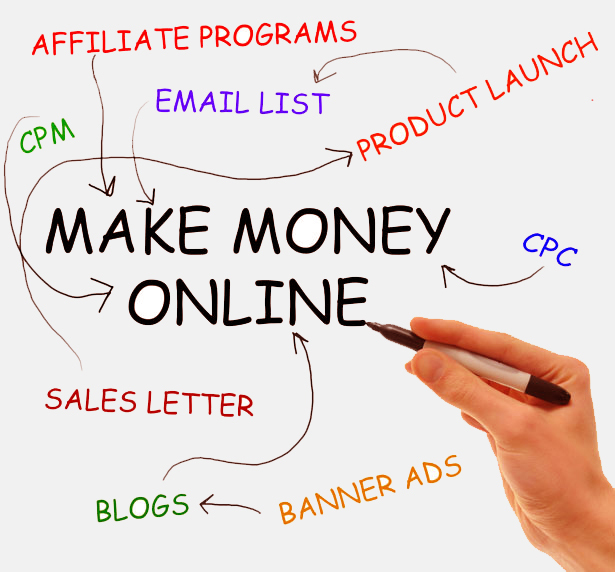 Have you ever come across the creative ways to make money online? The creative ways that helps you to make money legitimately? You might have come across many advertisements flashing the openings for online jobs. But do u think that every such possible advertisement really pay you? The answer for this is absolutely “no”. 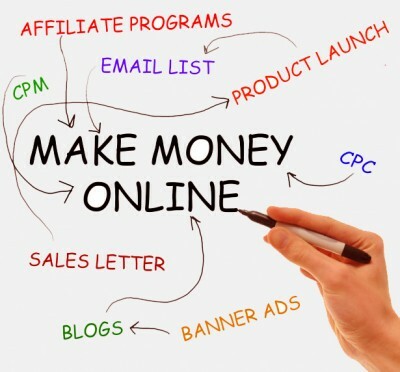 Then how to find the legitimate sites for making money? And how to find the interesting and creative jobs among them? Based on this rule, here are some of the sites listed below which allows you to earn an handsome of money creatively. Using sites like Cashcrate.com you can easily get paid for finishing the simple tasks provided on its dashboard. You can easily sign up with these sites and can check out all the tasks provided. There are number of tasks such as online surveys, rewarding cash for those who are participating in the special contests, and even for playing games. To know more about this site you can also check out its forum discussion where you can find all the latest updates of cash crate. It’s pretty cool when you come to know that you are being paid for the shopping you make. Isn’t it? This interesting money making idea can be tried in the websites like eBates and Mr.Rebates. This site offers more than 2000 stores worldwide including Wal-Mart, Sears, Target and many others. If you wish to purchase anything you can purchase it online and for those who buy more than $ 25 will be offered $ 10 gift card and many more exciting offers. This site is similar to the eBates except it offers for a bonus of $ 5 for signing up this site. Every possible items are available and this site makes you to save more money while shopping. There are many sites which provide smaller simpler modular tasks that can be finished within five minute duration. These are interesting sites that offer you with small modules of works and pay them accordingly if you successfully finish them. If you are a freelance writer or freelance worker then you can choose this legitimate site which provides you with modular task with a specified time to submit. You can participate in those tasks and finish successfully and get paid regularly. This is also a site which offers simple modular tasks like simple sign up’s in websites, writing comments to the given videos, and participating in the forum discussions, etc. Your earnings are displayed in the top right corner of your inbox and you are paid through your PayPal account which is cent percent safer. This is an interesting site which allows you to write articles for that site and pays you not only for the article but also for the number of views you get. Thus, by following these sites you can make a legitimate handsome of money being at your home during your leisure times. I have made money with Ebates while shopping at some of my favorite online stores. Some of these other sites I have never heard of. I may have to take some time to check them out. Thanks for the info. I would love to try some of them..thanks for sharing. Thanks for coming. Yes, the given list are really creative for creative people. I can’t forget Microworkers because I made my first online income from microworkers. The works provided by microworkers are really very easy to do. It’s like mturk, but the disadvantage is, the works are very less to do. Thanks for for the brief but a wonderful post. i love the way you make every point so concise and you spoke your point out…. i love you template too. Keep the good work rolling. Thanks for your appreciation. Keep on reading my blog to get encouraged. Hope to see you again. I am making $2500 from elance. Odesk is also good place to earn more money freelance. Welcome to my blog. We can also earn such amount from odesk. While comparing to odesk, i prefer elance for freelance jobs. Thanks for the trips it reallly work as u instructed i appreciate u from sharing great article dude thanks. Thanks for your appreciation. I researched about these given sites, whether its working or not. As a blogger, its our duty to give real and reliable content to our readers. This is indeed a creative way, I only made my goal only on blogging for now but with these ways, I think I should try to add one more way to increase my income online. Thanks for sharing this. Yes, i agree with you. Freelancing is the best way to earn money online, but it is not suitable for all, who are using internet. For this, we need some experience and patience. No Doubt, Freelancing is the best way to make online money. But Associated contents are also in this niche. I think the admin of this web page is genuinely working hard for his web site, since here every material is quality based stuff. brain that how a user can know it. Therefore that’s why this paragraph is amazing.